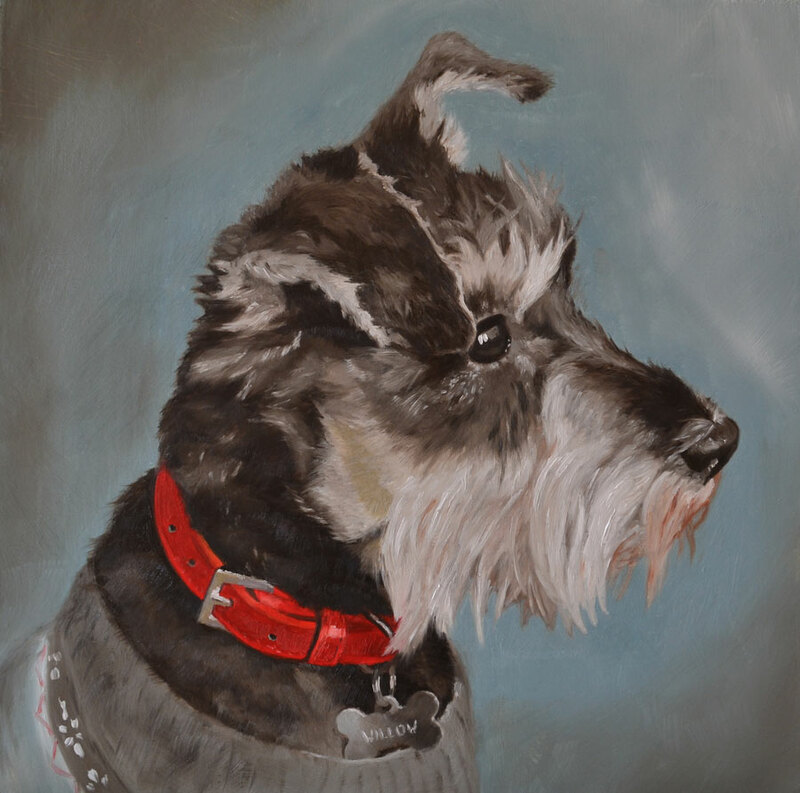 I am an artist specialising in oil painting and can create bespoke pet portraits from high quality photographs. A pet portrait is a lovely way to create a lasting memory of your best friend. Pet portraits are not limited to dogs, I am also able to paint cats, horses and any other pets you may have. The most important thing is to send me a good quality, high resolution photograph. ‘Willow’, miniature schnauzer, oil on board, 2017.